Convert MOV filesDue to support a broad range of video formats, Bigasoft MOV Converter can convert QuickTime MOV to AVI, convert MOV to MPEG, convert MOV to WMV, convert MOV to MP4, convert MOV to MPEG4, and more. Convert to MOVIn addition to convert MOV files to popular video formats, the MOV Converter can also be used as an AVI to MOV converter, WMV to MOV converter, FLV to MOV converter, and more. 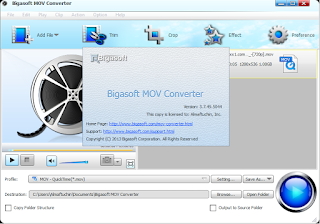 Higher listening experienceBigasoft MOV Converter can help you extract sound tracks from video clips to hear your great songs for a consistently higher listening experience. Best funIt offers excellent output quality and you will get any supported output formats with super image and luxuriant sound quality. 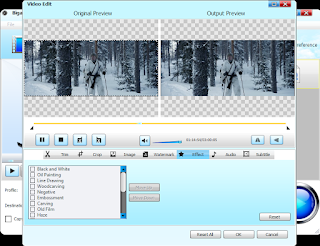 Edit videoIt offers lots of video editing functions, like crop your videos to remove black edges, zoom to fit screen, split for watching favorite clips only, and so on. Real-time previewWhat you watch is what you get. What a magic trick! 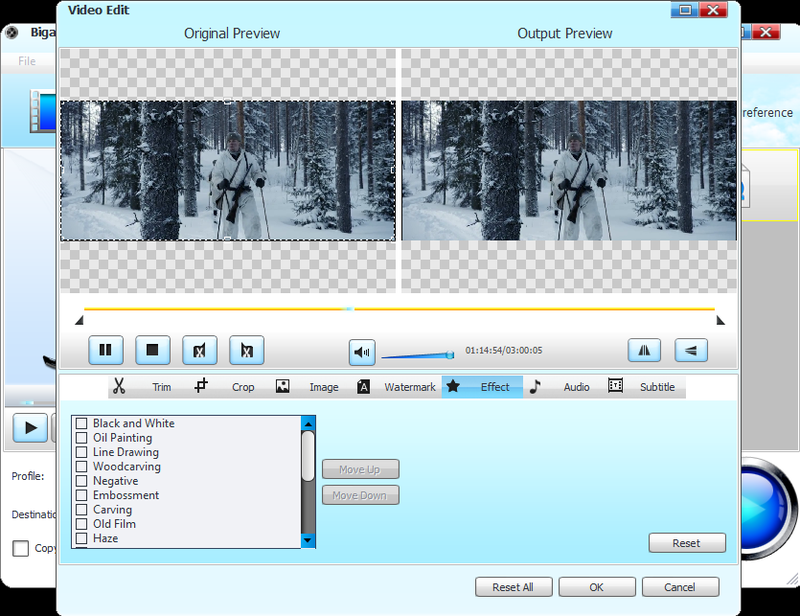 Capture video sceneTake photo for video footage to share with your family and friends. 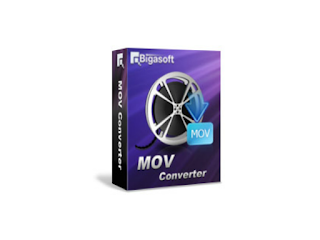 Automate conversionTake advantage of conversion list and actions after conversion to automate conversion task, the smart MOV convert can save time for you. Support multiple languagesProvides chooses including English, German, French, Chinese and Japanese now. 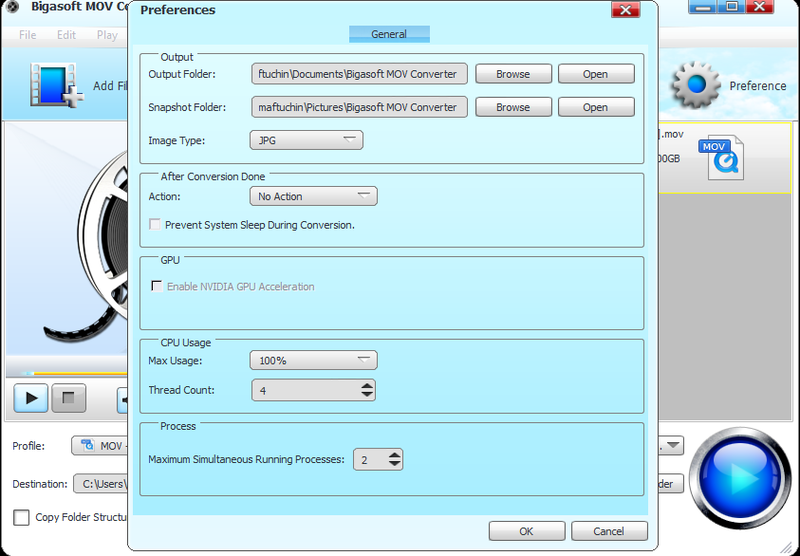 Support Windows VistaCompatible with all Windows including Windows 8, Windows 7, Windows XP, Windows Vista, and Windows 2000.